Location: South side of Scott’s Street (B721). 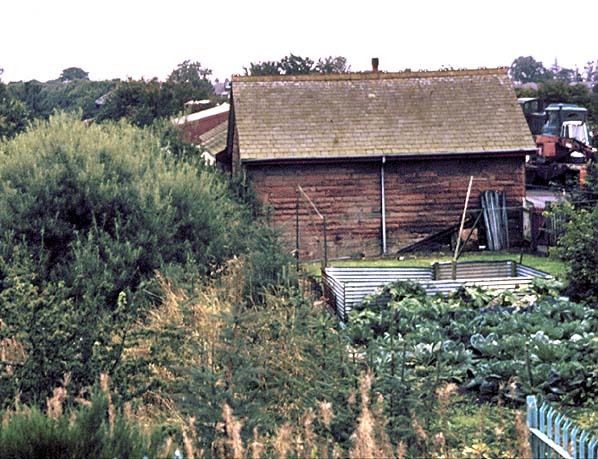 Present state: The extended station building and part of the platform still exist in private occupation. Notes: In the 1850s a line was proposed running from the Canonbie coalfield to a planned harbour at Annan, but because of the lack of money and support the line was never built. The Solway Junction Railway was later planned as a link between the hematite ore mines of Cumberland and the iron furnaces of Lanarkshire avoiding the long detour via Carlisle. But it was 1864 before the Act for the Solway Junction Railway was incorporated by Parliament, to construct the 25½ line from the Caledonian Railway near Kirtlebridge to the Brayton Station near Aspatria on the Maryport and Carlisle Railway winch had opened on 10th February 1845.
iron. The whole structure was erected without scaffolding with the piles being driven in at low tide. They used 5 barges in its construction which were towed back and forth by the steamer "Arabian" purchased from Clyde shipyard in Glasgow. Because of disputes over the ownership of the shore on the Scottish side it was some time before it could be used. The line from Bowness side of the viaduct went over Bowness moss were ditches had to be cut as the moss was 50 foot deep in places. At Whitrigg the line passed over the River Wampool by a bridge which had piles driven 30 foot into the seabed and then joined the Silloth Railway line at Kirkbride Junction. 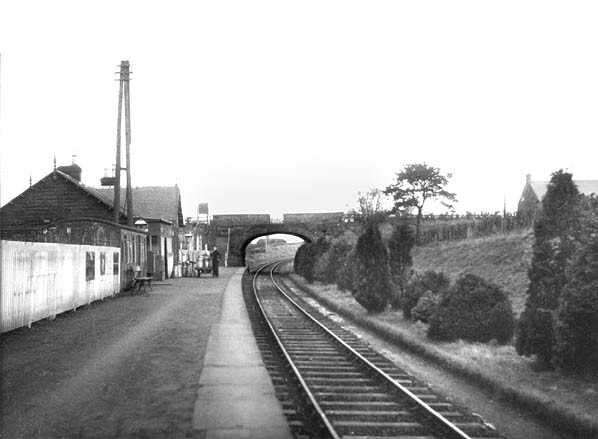 The Solway Junction Railway then continued on to Abbey Junction were it left the Silloth line and continued on through Bromfield to Brayton Station. The line opened on to goods traffic in September 1869 for goods with a locally advertised passenger service between Kirtlebridge and Annan starting on 1st October 1869 although this didn't appear in national timetables until 8th March 1970 when a full passenger service started with intermediate stations at Annan, Bowness and Whitrigg. By the early 1860s, over 100,000 tons of iron ore was being shipped annually from West Cumberland to Scotland. The line became part of the Caledonian Railway on 6th July 1895. The iron ore traffic declined and during the First World War passenger traffic ceased between 1917 - 1919 although according to its timetables for October 1917, October 1918 and February 1919 trains were still running so this closure may not have taken place. All through traffic ceased on 20th May 1921 as a result of cutbacks by the Caledonian Railway and the effects of a miners' strike but a service retained between Kirtlebridge and Annan with 5 daily trains to Annan and 4 return journeys. A limited service of mixed trains on the whole length of the line may have started two days a week on 30th May 1921 but final closure came after the last train on 31st August 1931 when it became apparent that expensive repairs. The line between Kirtlebridge and Annan remained open for both passenger and goods traffic. Annan was renamed Annan Shawhill on 2nd June 1924. The Solway viaduct was demolished in 1933. 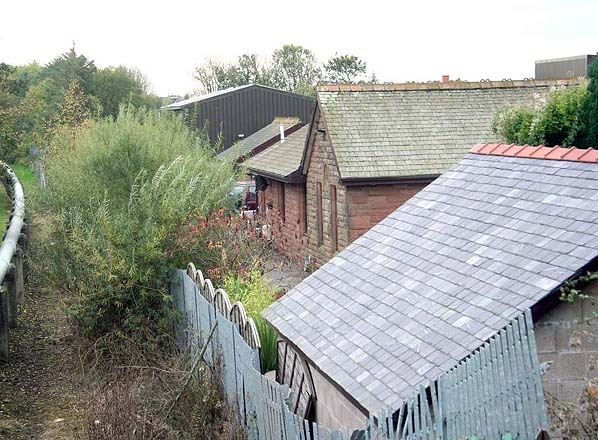 Annan Shawhill station consisted of a single passenger platform, just north of a short goods loop siding, with three freight sidings with a large goods shed and blacksmith and a 5-ton crane to the west of that. A signal box on the east sid of the line south of the station controlled access to the yard. The L-shaped station building was constructed of local stone and with some embellishments including finials and tall chimneys. Passenger traffic was never high but the goods yard was busy handling coal and livestock. Annan Shawhill closed to passengers from the 27th April 1931 with the last train running on the 25th. 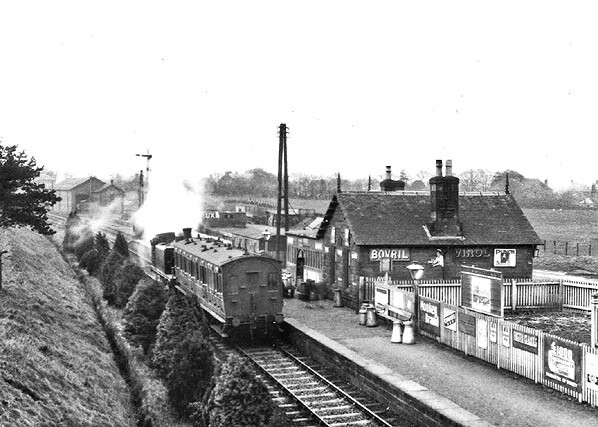 The station remained open for goods traffic until 28th February 1955. Today much of the trackbed is occupied by a pipeline. Annan station looking south in October 2009. 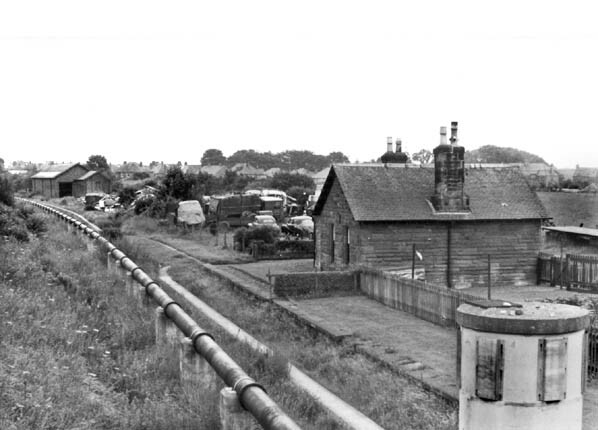 Compare with the 1968 pictures above, the station building has been extended and the chimneys removed.